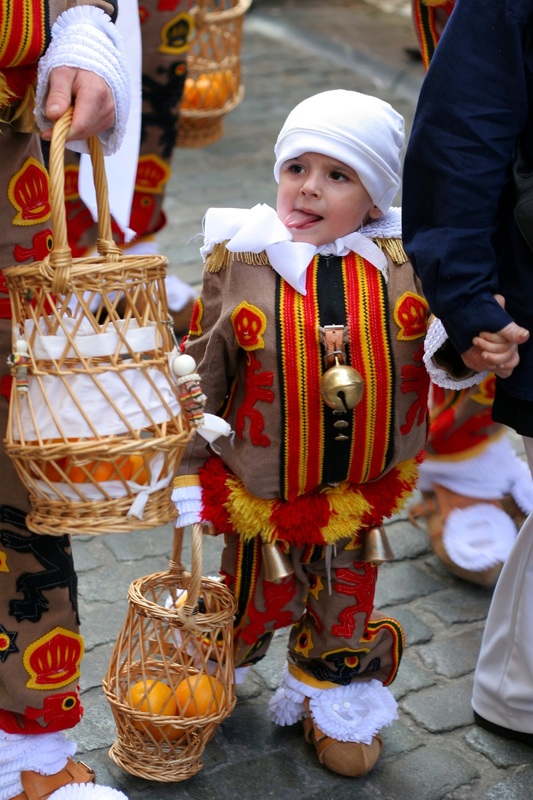 Belgium - Festivals & Traditions - Where in Our World? These are the Gilles. 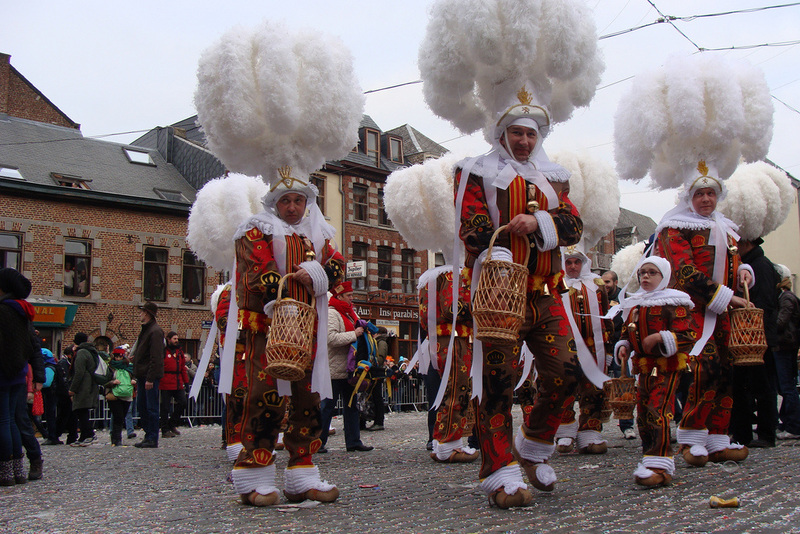 They get dressed up on Shrove Tuesday every year. They spend the day banging drums and dancing to ward off evil. The men in the photograph are wearing hats with ostrich plumes. There are oranges in the baskets they are carrying. They will throw these to the crowd watching the parade. These oranges are considered good luck. ​This festival is held every second year in August. 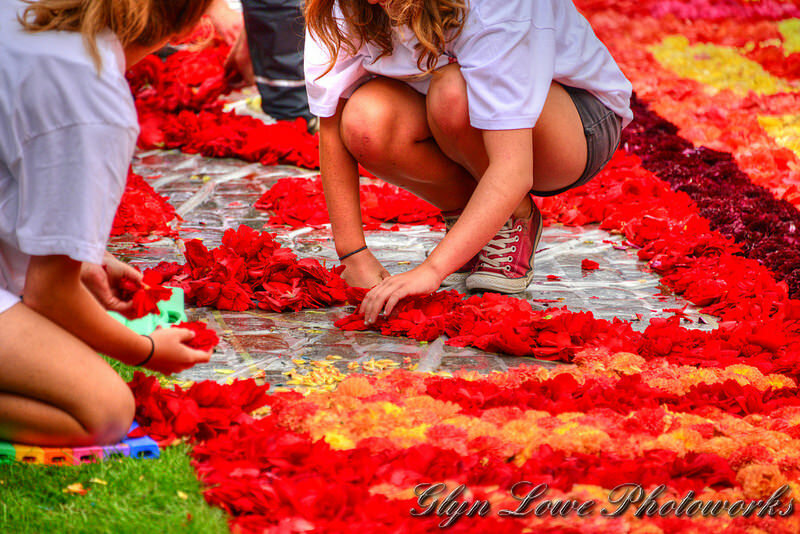 Volunteers from around Belgium weave a carpet out of begonias in the Grand Place. 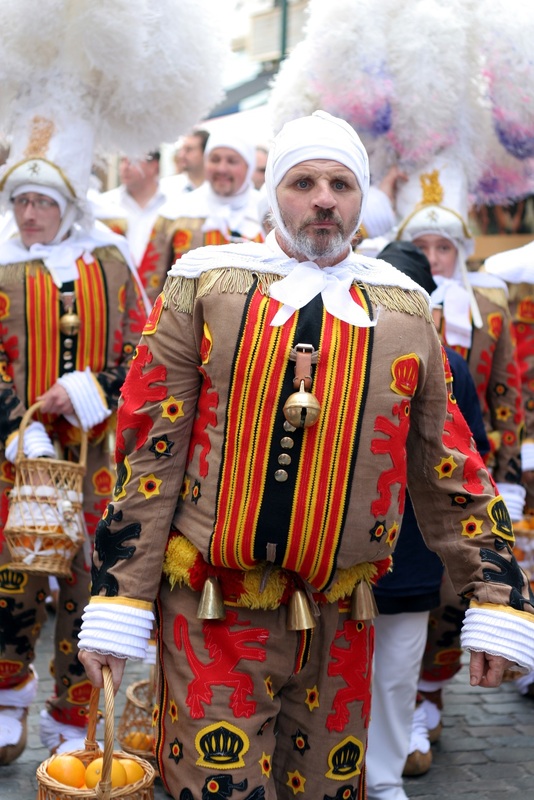 The men and the women wear old fashioned clothes when they are dancing. Sometimes props are used during the dances. 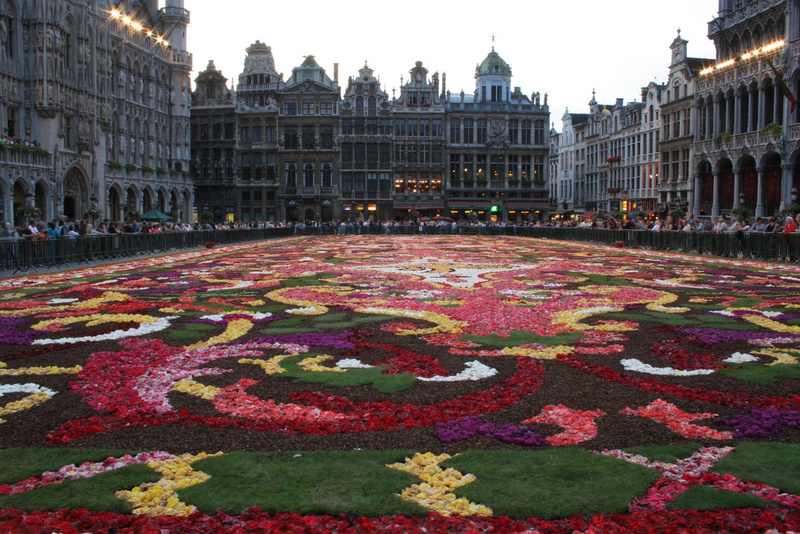 The dancers in this video use flower arches during the dance. Photos used under Creative Commons from ines s., doegox, doegox, Glyn Lowe Photoworks., doegox, Glyn Lowe Photoworks.